Today we didn’t go for a walk. We stayed back and relaxed. Actually, we worked pretty hard today. We put our portfolios together. The organizing part was tricky and took most of the time. We felt very proud of what we have done. It looks good…no…it looks great! Our parents will see next week. We think they will be proud. We decided what our writing goals would be for next term and it felt pretty good to decide for ourselves. It wasn’t all writing. 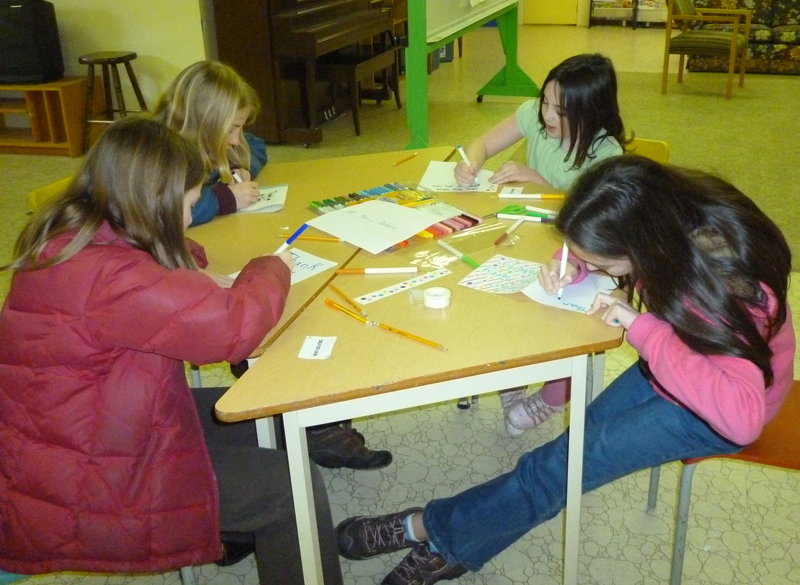 We got to do some crafty stuff too…illustrating at least! Next week will be our last week! We are excited to be have the whole group together in person for the first time!